The narrow stone bridge at Beddgelert in Gwynedd North Wales crosses the river Colwyn just upstream of its confluence with the river Glaslyn. 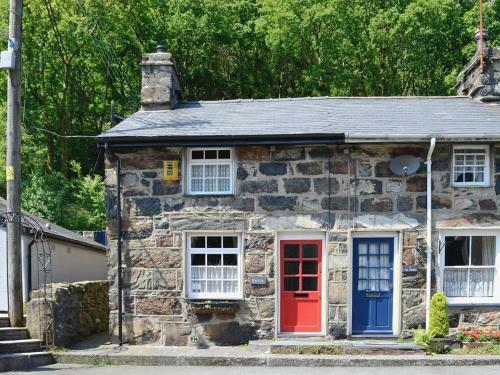 Sometimes known as the Ivy Bridge it adds considerably to the charm of this picturesque Welsh village. The bridge is built on the site of an older structure that was washed away during a major flood in 1799 which was also the cause of the drowning of a man in the adjacent property known as Ty Isaf.